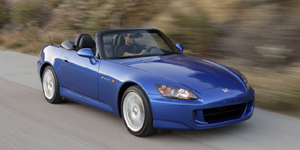 There are no changes to the Honda S2000 for 2007. The 2007 Honda S2000 Roadster is powered by a 2.2-liter Inline-4 with 237 hp. Find the used Honda S2000 of your choice from a dealer in your area. Search our used car listings now.